Take a spooky nighttime walk through America’s coolest town. 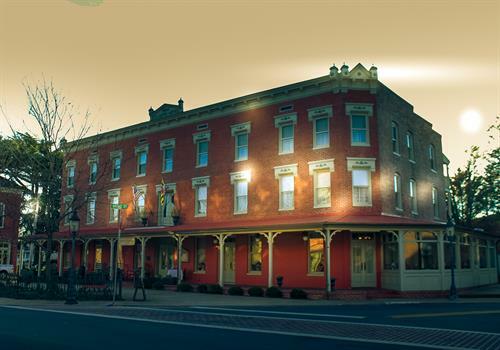 Hear about the child who haunts the historic Atlantic Hotel, a spirit who hides in an antique store basement, the Lady in White standing by the bank and apparitions of people long dead are seen walking the street. Touch the healing tree and walk in the steps of the elemental that haunts a spot near the old rail line. And take a nighttime stroll through a very old, dark graveyard.